Investors seeking a high yield may be attracted to New York Mortgage Trust‘s (Nasdaq: NYMT) juicy 13% yield – but that dividend looks rotten when you dig a little deeper. In April, I said that the dividend of this mortgage real estate investment trust (REIT) was likely to be reduced. It hasn’t been yet, but the situation that led me to believe that a cut was imminent hasn’t improved. New York Mortgage Trust still pays out more in dividends than it collects in net interest income (the measure of cash flow we use to analyze the dividend safety of mortgage REITs). 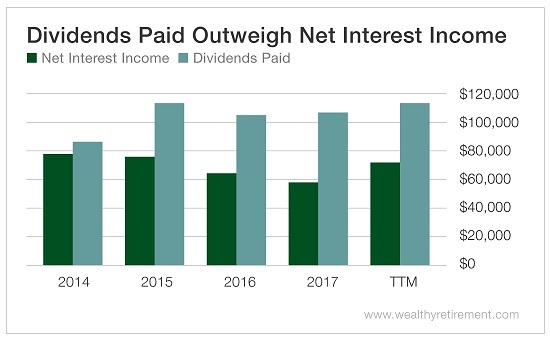 In each of the last four years, and in the past trailing 12 months (TTM), the company has paid out way more in dividends than it has earned in net interest income. That is not sustainable – which is very likely why New York Mortgage Trust has slashed its dividend nine times since it started paying one in 2004. In fact, the company pays out just one-third of what it did in 2005. If you need a poster child for a stock whose dividend is likely to be lowered, New York Mortgage Trust is it. The company hasn’t generated enough money to cover its dividend in years, and it’s a serial dividend-cutter. That 13% yield might look attractive, but I wouldn’t count on it for too long. 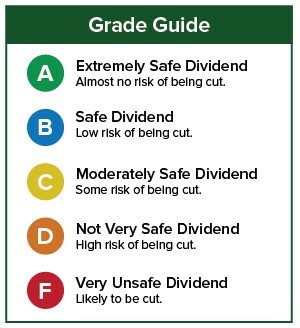 It’s only a matter of time before dividend cut No. 10 is in the books. If you have a stock whose dividend you’d like me to analyze, leave the ticker in the comments section. The post Mind the Maggots on This 13% Yield appeared first on Wealthy Retirement.